John Hyde household, 1900 U.S. Census, El Dorado, California, population schedule, Placerville, ED unknown cd3, sheet 1B, dwelling 14, family 14, age 40, occupation Carpenter. John L. Hyde household, 1910 U.S. Census, El Dorado County, California, population schedule, Placerville, ED 0025, sheet 13B, dwelling 311, family 320, age 49, occupation Caretaker. John L. Hyde household, 1920 U. S. Census, El Dorado County, John L. Hyde, population schedule, Salmon Falls, ED 23, sheet 7A, dwelling 111, family 77, age 61, occupation Carpenter - House. Herman Wedler household, 1900 U.S. Census, Madison County, Herman Wedler, population schedule, Venice, ED 69, sheet 21A, dwelling 407, family 438, age 40, occupation Car wheel moulder. Alexander Davis household, 1880 U.S. Census, Des Moines County, Alexander Davis, population schedule, Burlington, ED 109, sheet 124B, dwelling 44, family 45, age 74. Iowa, Marriages, 1809-1992, index at FamilySearch, online familysearch.org, Marriage of Daugher May Sophia Finke to Ralph Adam Davis - FamilySearch (https://familysearch.org/pal:/MM9.1.1/XJRP-XCC : accessed 12 Apr 2014), Ralph Adam Davis and May Sophia Finke, 24 Dec 1914; citing Burlington, Des Moines, Iowa, reference 2:3JRS5LG; FHL microfilm 1547637. George Ashmore household, 1860 U.S. Census, Des Moines County, Iowa, population schedule, Burlington, sheet 184, dwelling 1452, family 1405, age 28, occupation Farmer. Edith Davis household, 1900 U.S. Census, Des Moines County, Iowa, population schedule, Burlington, ED 0003, sheet 9B, dwelling 168, family 169, age 40, occupation Farmer. Edith Davis household, 1910 U.S. Census, Des Moines County, Edith Davis, population schedule, Burlington|0003, ED 10B, sheet 176, dwelling 173, family age 51, occupation Farmer. Edith Davis household, 1920 U.S. Census, Des Moines County, Edith Davis, population schedule, Tama, ED 25, sheet 4B, dwelling 93, family 92, age 61, occupation Farmer. West Virginia, Marriages Index, 1785-1971 [database on-line]. Provo, UT, USA: Ancestry.com Operations, Inc., 2011., online search.ancestry.com, Lilian Gorham Harrison. Ancestry.com. Virginia, Select Marriages, 1785-1940 [database on-line]. Provo, UT, USA: Ancestry.com Operations, Inc, 2014. Original data: Virginia, Marriages, 1785-1940. Salt Lake City, Utah: FamilySearch, 2013., online search.ancestry.com, Marriage Place: Winchester, Virginia; Father: Peyton Rand Harrison; Mother: Sarah Forrest Harrison; Spouse: Nannie Spollswood Boyd; FHL Film Number: 2048496; Reference ID: p 137 line 36. Peyton Harrison household, 1900 U.S. Census, Berkeley County, Peyton Harrison, population schedule, Martinsburg, ED 0016, sheet 15A, dwelling 315, family 328, age 40, occupation Insurance Agt. Peytn R. Harrison household, 1860 U.S. Census, Berkeley County, Peytn R. Harrison, population schedule, Martinsburg, dwelling 732, family 1363, age 28, occupaton Lawyer. Peyton Harrison household, 1910 U.S. Census, Berkeley County, Peyton Harrison, population schedule, MartinsBurg, ED 0020, sheet 3A, dwelling 41, family 51, age 50, occupation Insurance Agent. Payton R. Harrison household, 1920 U.S. Census, Berkeley County, Payton R. Harrison, population schedule, Martinsburg, ED 28, sheet 15A, dwelling 111, family 335, age 60, occuption Insurance Agent. Payton R Harrison household, 1930 U.S. Census, Berkeley County, Payton R Harrison, population schedule, Martinsburg, ED 0013, sheet 22B, dwelling 157, family 174, age 70, occupation Insurance Agent. West Virginia Deaths, 1804-1999, index viewed at FamilySearch, online familysearch.org, FamilySearch (https://familysearch.org/pal:/MM9.1.1/NMQD-582 : accessed 08 Oct 2014), Peyton R. Harrison, 25 Aug 1941; citing 10160, Berkeley, West Virginia; FHL microfilm 1983561. Page 8, Dw. 1418 Fm 1320. household, 1860 U.S. Census, Jackson County, Missouri, population schedule, sheet unknown cd3. Alexander Steele household, 1860 U.S. Census, Jackson County, Missouri, population schedule, Sni-A-Bar, sheet 0, dwelling 1418, family 1330, age 54, occupation Farmer. George Hulse household, 1880 United States census, Jackson County, George Hulse, population schedule, Sniabar, ED 30, sheet 140B, dwelling 214, family 214, age 44, occupation Farmerr. John R. Hulse household, 1930 U.S. Census, Jackson County, John R. Hulse, population schedule, Kansas City, ED 119, sheet 145A, dwelling 247, family 253, age 70, occupation Proprietor - Transfer and Storage. N. Harroldson household, 1870 U.S. Census, San Joaquin, California, population schedule,Oneal. Nathaniel Harlston household, 1880 U.S. Census, San Joaquin, California, population schedule, Stockton, ED 098, sheet 67C, dwelling 68, family 72, age 49, occupation Laborer. John B. Harelson household, 1920 U. S. Census, San Joaquin County, John B. Harelson, population schedule, Stcokton, ED 173, sheet 1A, dwelling 3, family 3, AGE 56, occupation Butcher - Own Shop. Union Bethell household, 1870 U.S. Census, Warrick County, Indiana, population schedule, Ohio, sheet 561B, dwelling 182, family 187, age 44, occupation Dry Good Merchant. Public Member Tree, online search.ancestry.com, SINCLAIR IRWIN QUICK PIKE - Photo Copy of an Obituary. Union Bethell household, 1860 U.S. Census, Warrick County, Indiana, population schedule, Newburgh, sheet 897, dwelling 1, family 1, age 34, occupation Merchant. Union Bethell household, 1880 U.S. Census, Warrick County, Union Bethell, population schedule, Newburgh, dwelling 061, family 188, 190. Ohio Marriage, 1800-1958 From FamilySearch, online familysearch.org, FamilySearch (https://familysearch.org/ark:/61903/1:1:XDN8-LMG : accessed 24 August 2015), Union Noble Bethell and Minnehaha Cox, 14 Oct 1885; citing Hamilton,Ohio, reference ; FHL microfilm 0344487 V. 95-96. Union Bethel household, 1900 U.S. Census, Essex County, Union Bethel, population schedule, Montclair, ED 0204, sheet 2B, dwelling age 40, occupation Telephone Manager. Union N. Bethell household, 1910 U.S. Census, Essex County, Union N. Bethell, population schedule, Montclair, ED 0191, sheet 2A, dwelling 26, family 26, age 50, occupaton President N. Y. Telephone. FamilySearch (https://familysearch.org/ark:/61903/1:1:QV5Y-D731 : accessed 24 August 2015), Union Noble Bethell, 1923; citing Passport Application, New Jersey, United States, source certificate #278381, Passport Applications, January 2, 1906 - March 31, 1925, 2242, NARA microfilm publications M1490 and M1372 (Washington D.C.: National Archives and Records Administration, n.d.); FHL microfilm ., U.S. Passport Application, online familysearch.org, FamilySearch (https://familysearch.org/ark:/61903/1:1:QV5Y-D731 : accessed 24 August 2015), Union Noble Bethell, 1923; citing Passport Application, New Jersey, United States, source certificate #278381, Passport Applications, January 2, 1906 - March 31, 1925, 2242, NARA microfilm publications M1490 and M1372 (Washington D.C.: National Archives and Records Administration, n.d.); FHL microfilm . Union Bethell household, 1930 U.S. Census, Essex County, Union Bethell, population schedule, Montclair, ED 0518, sheet 1B, dwelling 20, family 20, age 70, occupation Official - Bank. Public Member Tree, online search.ancestry.com, OVERGARD-SACS - Joe Sachs. T. F. James household, 1860 U.S. Census, Culpeper County, Virginia, population schedule, Unstated, sheet 817, dwelling 191, family 170, age 27, occupation Farmer. Douglas F. Vass household, 1910 U.S. Census, Fauquier County, Virginia, population schedule, Lee, ED 44, sheet 10A, dwelling 182, family 183, age 61, occupation Farmer. Daniel Slaughter household, 1870 U.S. Census, Culpeper County, Virginia, population schedule, Cedar Mountain, sheet 666A, dwelling 647, family 637, age 70, occupation Farmer. Find A Grave - Memorial Page, online www.findagrave.com, John Mercer Slaughter - Find A Grave Memorial# 39542648. Daniel F. Slaughter household, 1860 U.S. Census, Culpeper County, Virginia, population schedule, Southern Division, Homeland P.O., sheet 914, dwelling 101, family 91, age 60, occupation Farmer. Daniel Slaughter household, 1880 U.S. Census, Culpeper County, Virginia, population schedule, Cedar Mountain, ED 33, sheet 338A, dwelling 369, family 382, age 80, occupation Farmer. John M. Slaughter household, 1900 U.S. Census, Culpeper County, Virginia, population schedule, Cedar Mountain, ED 0007, sheet 10A, dwelling 184, family 187, age 40, occupation Farmer. Joseph V. Brown household, 1880 U.S. Census, Ottawa County, Michigan, population schedule, Georgetown, ED 241, sheet 422c, dwelling 58, family 59. Debbie Gowen Research, "Debbie (Pratt) Gowen - Emails," e-mail to David C. Pratt, Email - 30 Apr 2014; Photo copy of death certificate Reg. No. 1082. Michigan Marriages, 1868-1925 - as view on FamilySearch.Org, online https://familysearch.org/, (https://familysearch.org/pal:/MM9.1.1/NQSZ-ZQS : accessed 01 May 2014), Frank Brown and Phoebe Pixley, 22 Feb 1881; citing Grand Rapids, Kent, Michigan, v 2 p 122 rn 106, Department of Vital Records, Lansing; FHL microfilm 2342470. Debbie Gowen Research, "Debbie (Pratt) Gowen - Emails," e-mail to David C. Pratt, Email - 8/25/2015. Herman Grimm household, 1905 State Census, Cassville Village,Grant County,Wisconsin, population schedule, Page No: 113 , Line No: 29, , FamilySearch FHL No: 1020449 age 73, widowed. Find A Grave, database and immages, online www.findagrave.com, Frank Leslie Duncan, Find A Grave Memorial no: 37498503. Frank L Duncan household, 1900 U.S. Census, Grant County, Wisconsin, population schedule, Cassville, ED 26, sheet 2A, dwelling 25, family 26, age 40, occupation School Superintendent/Traveling Salesman. Wisconsin, County Marriages, 1836-1911, database online at FamilySearch, online familysearch.org, FamilySearch (https://familysearch.org/ark:/61903/1:1:QK8P-1MBG : 15 March 2018), Fannie M Duncan in entry for Frank L Duncan and Henrietta Grimm, 12 Oct 1882; citing Grant, Wisconsin, United States, Wisconsin Historical Society, Madison; FHL microfilm 1,266,988. Michigan Marrieage, 1868-1925 viewed at FamilySearch, online https://familysearch.org/search/, FamilySearch (https://familysearch.org/ark:/61903/1:1:N3F1-W6Z : 15 May 2018), Frank L Duncan and Elizabeth B Heaney, 1905. Wisconsin, Death Records, 1867-1907, index, at FamilySearch, online familysearch.org, FamilySearch (https://familysearch.org/ark:/61903/1:1:XL3X-ZS3 : 10 March 2018), Henrietta Duncan in entry for Grover Gumm Duncan, 1890; citing Death, Lancaster, Grant, Wisconsin, Wisconsin State Historical Society, Madison; FHL microfilm 1,310,185. Letter, Claire Butke Cramer to Daivd C. Pratt. James W. Green household, 1940 U.S. Census, Culpeper County, James W. Green, population schedule, Culpeper, ED 24-1, sheet 11B, Street or Post Office S West Main Street, house number 510, number of household visited 252, National Archives micropublication T627-4256, 49 year old, married, owner of a Newspaper. Original data: Texas Department of State Health Services. Texas Death Certificates, 1903–1982. iArchives, Orem, Utah., online search.ancestry.com, Photo Copy of Certificate of Death for Samuel Alexander Barclay, State File No: 18773. Find A Grave - Memorial Page, online www.findagrave.com, Eleanor B. "Nellie" Dunlaney Barclay - Find A Grave Memorial# 103246116. Ancestry.com Biographies of Notable Americans, 1904 [database online]. Orem, UT: MyFamily.com, Inc., 1997. Original data: Johnson, Rossiter, ed. Twentieth Century Biographical Dictionary of Notable Americans, SHERER,MCGEE,BARTLETT,EVERSOLE,DUVALL,LONG&SITKIEWICA FAMILY TREE - Lynnesherer. James (Julius) Barclay household, 1900 U.S. Census, Bexar County, Texas, population schedule, San Antonio, ED 0094, sheet 3A, dwelling 45, family 46, age 46, occupation Bank President. 1871 Scotland Census Index., online htt://www.ancestry.com, Parish: Duddingston; ED: 2; Page: 11; Line: 7; Roll: CSSCT1871_155; Year: 1871. Image Number: 555; Reference Number: v 3 p 598 rn 2292. William Elerick|Grand Rapids household, 1910 U.S. Census, Kent County, Michigan, population schedule, 0098, ED 7B, sheet 141, dwelling 163, family age 36, occupation Printer - Job Printer. Pearl Woodruff household, 1920 U.S. Census, Ionia County, Pearl Woodruff, population schedule, Odessa, ED 90, sheet 3A, dwelling 84, family 84, age 60, occupation Farm Laborer. Indiana Marriages, 1780-1992 - Viewed at Family Search, online www.familysearch.org, Charles L. Bitner and Helena C. Guettner: 23 jan 1907. John Bitner household, 1920 U.S. Census, Allen County, John Bitner, population schedule, Fort Wayne, ED 37, sheet 5A, dwelling 107, family 114, age 69, occupation latherhand for the railroad. Dodd, Jordan R. Tennessee, Marriages, 1851-1900 [database on-line]. Provo, UT, USA: Ancestry.com Operations Inc, 2000., online search.ancestry.com. Bethel Womack household, 1910 U.S. Census, DeKalb County, Bethel Womack, population schedule, Civil District #2, ED 0053Z, sheet 3B, dwelling 78, family 78, age 50, occupation Carpenter - House. George W. Beale Sr household, 1910 U.S. Census, Westmoreland County, George W. Beale Sr, population schedule, Cople, ED 0122, sheet 7B, dwelling 154, family 154, age 67, occupation Preacher of the Gospel. George W. Beale household, 1880 U.S. Census, Halifax County, Virginia, population schedule, Banister, ED 112, sheet 112, dwelling 453, family 459. George W. Beale household, 1900 U.S. Census, Northumberland County, George W. Beale, population schedule, Heathsville, ED 066, sheet 7B, dwelling 135, family 135, age 59, occupation Baptist Minister. George W. Beale household, 1920 U.S. Census, Westmoreland County, George W. Beale, population schedule, Cople, ED 156, sheet 10B, dwelling 195, family 195, age 77, occupation Minister - Baptist Church. Illinois, County Marriages, 1810-1934 - Familysearch, online familysearch.org, (https://familysearch.org/pal:/MM9.1.1/KFKW-CHZ : accessed 12 Dec 2013), William S. Cantrell and Mary Jane Burnett, 1882. William Cantrell household, 1900 U.S. Census, Franklin County, Illinois, population schedule, Benton, ED 0024, sheet 5B, dwelling 95, family 105, shr 49. occupation Lawyer. William S Cantrell household, 1910 U.S. Census, Franklin County, Illinois, population schedule, Benton, ED 0028, sheet 2B, dwelling 27, family 27, age 28, General Lawyer. Jennie B. Cantrell household, 1920 U.S. Census, Franklin County, Illinois, population schedule, Benton, ED 27, sheet 9A, dwelling 172, family 190, age 58, occupation none. , online search.ancestry.com, Marian Wilson and John Nathan Hezzelwood - Archives of Ontario; Series: MS932_48; Reel: 48. Ira Reynolds household, 1940 U.S. Census, Collin County, Ira Reynolds, population schedule, Other Places - Collin County, ED 43-25, sheet 16A, Street or Post Office Jones-Reed Road, number of household visited 313, National Archives micropublication T627-4009, married, 44 year old Farmer. James Reynolds household, 1900 U.S. Census, Hart County, James Reynolds, population schedule, Horse Cave, ED 0056, sheet 6A, dwelling 111, family 111, age 51, occupation Farmer. L. C. Harbour household, 1880 United States census, Yalobusha County, L. C. Harbour, population schedule, Coffeeville, ED 206, sheet 184D, family 619, age 24, occupation Farmer. Louis C. Harbour household, 1900 U.S. Census, Chioctaw Nation, Louis C. Harbour, population schedule, Cameron, ED 0074, sheet 2B, dwelling 41, family 45, age 44, occupation Day Laborer. Emma Strout household, 1940 U.S. Census, Multnomah County, Emma Strout, population schedule, Portland, ED 37-328B, sheet 61A, Street or Post Office N.E. Victoria, house number 1730, number of household visited 64, National Archives micropublication T627-3376, Emma was listed as a widowed 80 year old head of house. George H. Strout household, 1910 U.S. Census, Multnomah County, Oregon, population schedule, Portland, ED 0214, sheet 9A, dwelling 187, family 215, age 63, occupation Cashier - Lumber Company. Arthur Herndon household, 1910, San Joaquin County, California, population schedule, Stocton, ED 0139, sheet 13 B, dwelling 55, family 167, age 50, occupation Tinsmith. Wisconsin, County Marriages, 1836-1911, database online at FamilySearch, online familysearch.org, FamilySearch (https://familysearch.org/ark:/61903/1:1:QK8P-BGV9 : 15 March 2018), William J Mc Camish and Nancy Annie Swelode, 18 Feb 1877; citing Grant, Wisconsin, United States, Wisconsin Historical Society, Madison; FHL microfilm 1,266,986. Minnesota Births and Christenings, 1840-1980," database on line at, online familysearch.org, FamilySearch (https://familysearch.org/ark:/61903/1:1:FDQF-3HQ : 10 February 2018), Charles Duncan English in entry for Gladys Esther English, 22 Nov 1895; citing Janesville, Waseca, Minnesota, reference v 4 p 16; FHL microfilm 1,320,466. Charles English household, 1900 U.S. Census, Grant County, South Dakota, population schedule, Milbank, ED 155, sheet 5A, dwelling 89, family 89, age 41, occupation ? ? Nursery Store. William Mc Kamish household, 1880 U.S. Census, Grant County, Wisconsin, population schedule, Cassvill, ED 101, sheet 64B, dwelling 195, family 202, age 33, occupation Laborer. Wisconsin, County Marriages, 1836-1911", database online at FamilySearch, online familyseach.org, FamilySearch (https://familysearch.org/ark:/61903/1:1:XRJD-D6T : 16 March 2018), Charles D. English and Nancy A. Mccarnish, 12 Nov 1874; citing , Grant, Wisconsin, United States, Wisconsin Historical Society, Madison; FHL microfilm 1,266,663. C.D. English household, 1915 North Dakota State Census, Burke County, population schedule, at FamilySearch (https://familysearch.org/ark:/61903/1:1:QK94-LWK2 : 17 March 2018), Hazel Nichols in household of C D English, Burke, North Dakota, United States; citing family number 80, line number 343, State Historical Society of North Dakota; FHL microfilm 1,731,410. Charles D. English household, 1910 U.S. Census, Burke County, Charles D. English, population schedule, Vale, ED 0201, sheet 15B, dwelling 40, family 40, age 51, occupaton Farmer - General Farm. 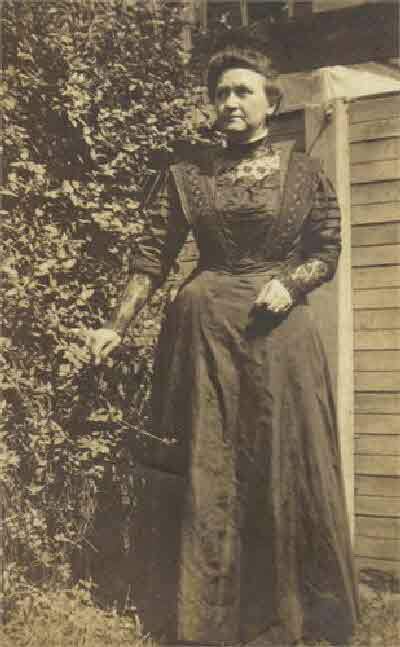 FamilySearch (https://familysearch.org/ark:/61903/1:1:QK94-LWKJ : 17 March 2018), Anna English in household of C D English, Burke, North Dakota, United States; citing family number 80, line number 340, State Historical Society of North Dakota; FHL microfilm 1,731,410. household, 1915 North Dakota State Census, Burke County, population schedule. FamilySearch (https://familysearch.org/ark:/61903/1:1:QK9H-9X4M : 17 March 2018), Nancy A English in household of Chas English, Portal, Burke, North Dakota, United States; citing sheet number 6, family number 64, State Historical Society of North Dakota; FHL microfilm 1,731,394. household, 1925 North Dakota State Census, Burke County, population schedule. Annie English household, 1930 U.S. Census, Burke County, Annie English, population schedule, Portal, ED 26, sheet 4B, dwelling 78, family 88, age 71, occupation None. Find A Grave, database and immages, online www.findagrave.com, Nancy English, Find A Grave Memorial no: 13670000. Rudolph Fotsch household, 1900 U.S. Census, Louisa County, Iowa, population schedule, Wapillo, ED 90, sheet 4B, dwelling 85, family 89, age 42, occupation Carpenter. New York Passenger Lists, 1820-1891 database with images online at FamilySearch, online familysearch.org, FamilySearch (https://familysearch.org/ark:/61903/1:1:QVPJ-T419 : 12 March 2018), Rodolphe Fotsch, 1868; citing NARA microfilm publication M237 (Washington, D.C.: National Archives and Records Administration, n.d.); FHL microfilm . United States Germans to America Index, 1850-1897 database viewed online at FamilySearch, online familysearch.org, FamilySearch (https://familysearch.org/ark:/61903/1:1:KD3F-C61 : 27 December 2014), Rudolph Fotsch, 17 Feb 1868; citing Germans to America Passenger Data file, 1850-1897, Ship William Penn, departed from Havre & London, arrived in New York, New York, New York, United States, NAID identifier 1746067, National Archives at College Park, Maryland. Iowa, Marriages, 1809-1992, index at FamilySearch, online familysearch.org, FamilySearch (https://familysearch.org/ark:/61903/1:1:XJ4J-T2N : 10 February 2018), Rudolf Fotsch and Louisa Deidrik, 28 Mar 1882; citing Muscatine, Iowa, reference b D p 120; FHL microfilm 1,853,566. 1885 Iowa State Census, Scott County online at www.familysearch.org, FamilySearch (https://familysearch.org/ark:/61903/1:1:QK4T-6Z25 : 17 March 2018), Rudolph Fotsch, 1915; citing Muscatine, Iowa, United States, card no. , Iowa State Historical Department, Des Moines; FHL microfilm 1,462,653. Rudolph Fotsch household, 1920 U.S. Census, Muscatine County, Rudolph Fotsch, population schedule, Muscatine, ED 189, sheet 1A, dwelling 13, family 13, age 61, occupation Carpenter. Rudolph household, 1930 U. S. Census, Los Angeles, California, population schedule, Los Angeles, ED 784, sheet 13A, dwelling 241, family 252, age 73, occupatione None. California Death Index, 1905-1939, database with images viewed online at FamilySearch.com, online familysearch.org, FamilySearch (https://familysearch.org/ark:/61903/1:1:QKS9-MHRF : 8 November 2017), Rudolf Fotsch, 16 Nov 1938; citing 66052, Department of Health Services, Vital Statistics Department, Sacramento; FHL microfilm 1,686,048. David McCamish household, 1880 U.S. Census, Washington County, Oregon, population schedule, Hillboro, ED 129, sheet 362D, dwelling age 48, occupation Laborer. California Marriages, 1850-1945, database online at, online www.familysearch.org, FamilySearch (https://familysearch.org/ark:/61903/1:1:V2ZW-MJB : 10 February 2018), David Mccamish and Loretta N. Mead, 28 Aug 1876; citing , San Joaquin, California; FHL microfilm 924,488. The Church of Jesus Christ of Latter-day Saints, "Pedigree Resource File," database, online familysearch.org, FamilySearch (https://familysearch.org/ark:/61903/2:2:SYH1-YLQ : accessed 24 May 2018), entry for Loretta N. /Mead/, cites sources; file (2:2:2:MM7C-GK1), submitted 14 May 2011 by TedGCox [identity withheld for privacy]. Find A Grave, database and immages, online www.findagrave.com, Burton P. McCamish, Find A Grave Memorial no: 53001999. CA Death Index, online search.ancestry.com, 579269154. W. G. Jones household, 1880 US Census, Humboldt County, W. G. Jones, population schedule, Ferndale, ED 38, sheet 2B, dwelling 19, family 19, occupation printer. Wm G. Jones household, 1880 US Census, Humboldt County, Wm G. Jones, population schedule, Ferndale, ED 38, sheet 2B, dwelling 19, family 19, occupation printer. Carl F. Bostelman household, 1910 U. S. Census, Los Angeles County, California, population schedule, Los Angeles, ED 90, sheet 10B, dwelling 237, family 271, age 50, occupation Duggest. Charles F. Bostelman household, 1920 U. S. Census, Los Angeles County, Charles F. Bostelman, population schedule, Los Angeles, ED 194, sheet 110B, dwelling 204, family 215, age 61, occupation Drugist - Retail Drug Store. Robert Christian household, 1920 U. S. Census, Sumter County, Georgia, population schedule, Americus, sheet 104, dwelling 1A, family 1, 1. William Strassheim household, 1900 U.S. Census, Philadelphia County, Pennsylvania, population schedule, Philadelphia, ED 393, sheet 9A, dwelling 193, family 185, age 40, occupation Compositer. Fulbert Strassheim household, 1880 U.S. Census, Philadelphia County, Pennsylvania, population schedule, Philadelphia, sheet 380, dwelling 451C, family 214, 263. Debbie Gowen Research, "Debbie (Pratt) Gowen - Emails," e-mail to David C. Pratt, copy of obituary via email 22 Oct 22017. William Strassheim household, 1910 U. S. Census, Philadelphia County, Pennsylvania, population schedule, Philadelphia, ED 319, sheet 101B, dwelling 73, family 77, age 49, occupation Printer. William Strassheim household, 1920 U. S. Census, Philadelphia County, William Strassheim, population schedule, Philadelphia, ED 426, sheet 5B, dwelling 107, family 109, age 59, occupation Printer Ironshop. Alberth Strassheim household, 1930 U. S. Census, Philadelphia County, Pennsylvania, population schedule, Philadelphia, ED 845, sheet 12B, dwelling 199, family 200, age 41, occupation Proprietor Painting Shop. Debbie Gowen Research, "Debbie (Pratt) Gowen - Emails," e-mail to David C. Pratt, 3/14/2012 - jpeg. of obit from Naples paper. Debbie Gowen Research, "Debbie (Pratt) Gowen - Emails," e-mail to David C. Pratt, email 6/23/2012 - photo copy of Return of a Death - Physians Certificate. Thomas Osborn household, 1880 U.S. Census, Mercer County, Missouri, population schedule, Medicine, dwelling 229, family 158, 158. Thomas Osborn household, 1870 U.S. Census, Mercer County, Missouri, population schedule, Medicine, sheet 146, dwelling 76, family 78, age 46, occupation Farmer. George Montgomery household, 1880 U.S. Census, Mercer County, Missouri, population schedule, Medicine, dwelling 229, family 154, 154. Lewis E. Schanke household, 1900 U.S. Census, Kent County, Michigan, population schedule, Grand Rapids, ED 60, sheet 12A, dwelling 253, family 270, age 40, occupation Painter. Find A Grave - Memorial Page, online www.findagrave.com, Ella Frances Heath Coenl Heath - Find A Grave Memorial# 109868471. Find A Grave - Memorial Page, online www.findagrave.com, Hallie Hazel Cox Weidner - Find A Grave Memorial# 14527566. Henry W. Weidner household, 1940 U.S. Census, Payette County, Henry W. Weidner, population schedule, Payette, ED 38-3, sheet 1B, Street or Post Office 37 Ave North, house number 406, number of household visited 19, National Archives micropublication T627-752, Henry was listed as a married 53 year old manager-owner - Avery Lumber Yard. Find A Grave, database and immages, online www.findagrave.com, Mrs Geneva Estelle Swenson Oberg, Find A Grave Memorial no: 118122734. Eric H Swenson household, 1900 U.S. Census, Clay County, Kansas, population schedule, Clay Center, ED 4, sheet 5A, dwelling 99, family 105, age 45, occupation Realstate Agent. California, County Marriages - viewed at FamiySearch, online www.familysearch.org, FamilySearch (https://familysearch.org/ark:/61903/1:1:K8D2-3SK : 10 December 2017), Charles W Meador and Helen M Keast, 22 Jan 1879; citing Santa Clara, California, United States, county courthouses, California; FHL microfilm 1,302,024. Charles W Meador household, 1910 U.S. Census, Santa Clara County, Charles W Meador, population schedule, San Jose, ED 88, sheet 6A, dwelling 78, family 79, age 53, occupation Commercial Handler - Hardware. Charles W Maddor household, 1900 U.S. Census, Santa Clara County, California, population schedule, San Jose, ED 61, sheet 20A, dwelling 481, family 491, age 47, occupaton Salesman - Carriage ? Helena M. Meador household, 1930 U. S. Census, Santa Clara County, California, population schedule, San Jose, ED 83, sheet 1B, dwelling 11, family 14, age 70, occupation None. Find A Grave, database and immages, online www.findagrave.com, Helena M Meador, Find A Grave Memorial no: 75903775. IGI - Film M004546, "LDS Online Family Search", Ancestral File. Augusta A. Brown household, 1910 U.S. Census, New York County, New York, population schedule, Manhattan, ED 594, sheet 14B, dwelling 63, family 317, age 44, occupation Housekeeping. New York, New York City Marriage Records, 1829-1940, viewed online at FAmilySearch, online familysearch.org, FamilySearch (https://familysearch.org/ark:/61903/1:1:24S3-JNV : 20 March 2015), Rutherford Brown and Augusta Brieger, 26 Apr 1882; citing Marriage, Manhattan, New York, New York, United States, New York City Municipal Archives, New York; FHL microfilm 1,562,551. William Wolf household, 1900 U.S. Census, New York County, New York, population schedule, Manhattan, ED 929, sheet 7A, dwelling 18, family 151, age 41, occupation Compitor. New York, New York City Marriage Records, 1829-1940, viewed online at FAmilySearch, online familysearch.org, FamilySearch (https://familysearch.org/ark:/61903/1:1:24S3-JNV : accessed 9 October 2015), Rutherford Brown and Augusta Brieger, 26 Apr 1882; citing Marriage, Manhattan, New York, New York,. Cornelius Driscoll household, 1930 U.S. Census, New York County, Cornelius Driscoll, population schedule, Manhatten, ED 1100, sheet 12B, dwelling 14, family 277, age 42, occupation Compositor - Newspaper. New York, New York City Municipal Deaths, 1795-1949," database at FamilySearch., online familysearch.org, FamilySearch (https://familysearch.org/ark:/61903/1:1:2WJK-NS1 : 20 March 2015), Rutherford Brown in entry for Jessie Rachel Brown, 09 Apr 1884; citing Death, Manhattan, New York, New York, United States, New York Municipal Archives, New York; FHL microfilm 1,373,944.
, online www.familysearch.com, Batch No: C999651; Dates: 1828 - 1870; Source Call No: 0896088; Type: Film; Printout Call No: 0883749; Sheet: 00. Debbie Gowen Research, "Debbie (Pratt) Gowen - Emails," e-mail to David C. Pratt, Photo copy of news paper Obituary of Julius Gomoll via e-mail on October 11, 2011. Mathilda Guittner household, 1910 U.S. Census, Allen County, Indiana, population schedule, Fort Wayne, ED 0067, sheet 22A, dwelling 443, family 454, age 50, occupation Laundress. Ancestry.com. Indiana Marriage Collection, 1800-1941 [database online]. Provo, Utah: MyFamily.com, Inc., 2005., online at search.ancestry.com, Allen County, Indiana; Index to Marriage Record 1824 - 1920 Inclusive Vol;W. P. A. Original Record Located: County Clerk's O,Book:18,O, Page: 285. Matilda Jisttnan household, 1900 U.S. Census, Allen County, Matilda Jisttnan, population schedule, Frot Wayne, ED 49, sheet 23B, dwelling 469, family 481, age 40, occupation None. Matilda Guettner household, 1920 U.S. Census, Allen County, Matilda Guettner, population schedule, Fort Wayne, ED 82, sheet 36A, dwelling 704, family 785, age 80, occupation none. Matilda L. Guettner household, 1930 U.S. Census, Allen County, Matilda L. Guettner, population schedule, Fort Wayne, ED 43, sheet 11A, dwelling 205, family 231, age 70, occupation none. Mathilda Guettner household, 1940 U.S. Census, Allen County, Mathilda Guettner, population schedule, Fort Wayne, ED 94-93, sheet 15B, Street or Post Office Greeine Street, house number 1712, number of household visited 306, National Archives micropublication T627-1116, 80 old widow born in Germany. Debbie Gowen Research, "Debbie (Pratt) Gowen - Emails," e-mail to David C. Pratt, email 11/11/2011 -. Debbie Gowen Research, "Debbie (Pratt) Gowen - Emails," e-mail to David C. Pratt, 2/24/2012 - photo copy of an Obituary for Mrs. Mathilda Guettner. S.W. Fisher household, 1860 U.S. Census, Matagorda County, S.W. Fisher, population schedule, Matagorda, dwelling 501, family 163, age 41, occupation Merchant. Original data: Texas Department of State Health Services. Texas Death Certificates, 1903–1982. iArchives, Orem, Utah., online search.ancestry.com, Photo copy of Standard Certificate of Death: Galviston Texas, Precinct 6, Certificate 6685. Saml. W. Fisher household, 1870 U.S. Census, Matagorda County, Saml. W. Fisher, population schedule, Matagorda, dwelling 472A, family 44, age 57, occupation Merchant. Dr. Walter C. Fisher household, 1910 U.S. Census, Galveston County, Dr. Walter C. Fisher, population schedule, Galveston, ED 0032, sheet 10B, dwelling 162, family 211, age 50, occupation Physican- Public. William C. Fisher household, 1900 U.S. Census, Galveston County, William C. Fisher, population schedule, Galvelston, ED 0117, sheet 11B, dwelling 173, family 180, age 40, occupation Physician. William C. Fisher household, 1930 U.S. Census, Galveston County, William C. Fisher, population schedule, Galveston, ED 0042, sheet 10B, dwelling 229, family 229, age 70, occupation Retired. Joseph Meador household, 1860 U.S. Census, Jackson County, Missouri, population schedule, Sni-a-bar, sheet 0, dwelling 1436, family 1367, age 28, occupation Blacksmith. Kansas County Marriages, 1855-1911, database with images online at FamilySearch, online familysearch.org, FamilySearch (https://familysearch.org/ark:/61903/1:1:Q293-XCP7 : 18 October 2017), David L Welsh and Bettie Meador, 05 Apr 1877; citing Marriage, Franklin, Kansas, United States, district clerk, court clerk, county clerk and register offices from various counties; FHL microfilm 1,451,455. Kansas State Census, 1915, database with images, online familysearch.org, FamilySearch (https://familysearch.org/ark:/61903/1:1:QGKV-PQ75 : 17 October 2018), Clyde Welsh in household of Elizabeth E Welsh, Chanute, Neosho, Kansas, United States; citing Chanute, Neosho, Kansas, United States, 364, 25, Kansas Historical Society, Topeka. Find A Grave, database and immages, online www.findagrave.com, Elizabeth E. Welsh, Find A Grave Memorial no: 51585081. California Death Index, 1905-1939, database with images viewed online at FamilySearch.com, online familysearch.org, FamilySearch (https://familysearch.org/ark:/61903/1:1:VPQ1-N19 : 26 November 2014), Lynn David Welsh, 08 Jul 1948; Department of Public Health Services, Sacramento. Delyee(Delyn?) Weksh household, 1880 U.S. Ceunsu, Franklin County, Delyee(Delyn?) Weksh, population schedule, Potawatomie, ED 901, sheet 158B, dwelling 54, family 54, age 30, occupaiton Physician. Caleb Barnsley? Household, 1860 U.S. Census, Culpeper County, Virginia, population schedule, Jeffersonton, sheet 792, dwelling 529, family 483, age 49, occupation Teacher. Caleb D. Burnley household, 1910 U.S. Census, Fairfax County, Virginia, population schedule, Dranesville, ED 0028, sheet 10B, dwelling 196, family 210, age 50, occupation Real Estate. Jacob Barah household, 1860 U.S. Census, Grant County, Wisconsin, population schedule, Fennimore, sheet 141, dwelling 289, family 289, age 37, occupation Farmer. Henry Borah household, 1910 U.S. Census, Beadie County, South Dakota, population schedule, Nance, ED 0008, sheet 7A, dwelling 70, family 77, age 50, occupation Farmer - General Farm. Henry F. Borah household, 1930 U. S. Census, Jackson County, Oregon, population schedule, Central Point, ED 0017, sheet 1A, dwelling 12, family 12, age 70, occupation Truck Farmer. Harvey E. Cassman household, 1940 U.S. Census, Jackson County, Harvey E. Cassman, population schedule, Central Point, ED 15-19, sheet 4A, Street or Post Office Maple Street, house number Rural, number of household visited 86, National Archives micropublication T627-3362, Garvey E. Cassman was listed as a married 51 year old with out occupation. Find A Grave - Memorial Page, online www.findagrave.com, Henry F. Borah. Newt Love household, 1900 United States census, Jackson County, Newt Love, population schedule, Sni-A-Bar, ED 138, sheet 78, dwelling 5, family 5, age 38, occupation Farmer. N. J. Love household, 1910 U.S. Census, Jackson County, N. J. Love, population schedule, Sni-A-Bar, ED 212, sheet 7A, dwelling 132, family 132, age48, occupation Farmer - General Farm. Find A Grave - Memorial Page, online www.findagrave.com, Alice M Latimer Love. Washington Latimer household, 1860 U.S. Census, Jackson County, Missouri, population schedule, Sni-A-Bar, sheet 199, dwelling 1443, family 1354, age 28, occupation Farmer. Missouri, Marriages, 1750-1920, Index At FamilySearch, online familysearch.org, FamilySearch (https://familysearch.org/ark:/61903/1:1:V28V-C3Z : 11 February 2018), John B. Campbell and Alice M. Lattemore, 21 Mar 1878; citing Jackson,Missouri; FHL microfilm 1,019,758. Find A Grave - Memorial Page, online www.findagrave.com, Lee James Woodring - Find A Grave Memorial# 102338392. James A. Woodring household, 1900 U.S. Census, Neosho County, James A. Woodring, population schedule, Centerville, ED 0148, sheet 11B, dwelling 206, family 230, age 40, occupation Day Laborer. Jeremiah Woodring household, 1870 U.S. Census, Neosho County, Kansas, population schedule, Ladore, sheet 174B, dwelling 124, family 124, age 47, occupation Farmer. Find A Grave - Memorial Page, online www.findagrave.com, James Allen Woodring - Find A Grave Memorial# 40476344. Jeremiah Woodring household, 1860 U.S. Census, Allen County, Jeremiah Woodring, population schedule, Allen, dwelling 276, family 954, age 37, occupation Farmer. Jerry Woodring household, 1880 U.S. Census, Neosho County, Jerry Woodring, population schedule, Ladore, ED 168, sheet 214D, dwelling 42, family 42, age 56, occupation jFarmer. Find A Grave - Memorial Page, online www.findagrave.com, Belle Elizabeth Womeldorff Woodring - Find A Grave Memorial# 40476342. Kansas County Marriages, 1855-1911, database with images online at FamilySearch, online familysearch.org, FamilySearch (https://familysearch.org/ark:/61903/1:1:FW2T-TJC : 16 February 2016), James Allen Woodsing and Bell Elizabeth Womeldorff, 30 Dec 1883; citing Marriage, , Neosho, Kansas, United States, district clerk, court clerk, county clerk and register offices from various counties; FHL microfilm 1,404,957. Original data: Texas Department of State Health Services. Texas Death Certificates, 1903–1982. iArchives, Orem, Utah., online search.ancestry.com, Bessie Calhoun Harber; Photo Copy: State File No: 78822. Robert Calhoun household, 1910 U.S. Census, Hays County, Robert Calhoun, population schedule, Justice Precint 3, ED 0044, sheet 1A, dwelling 5, family 5, age 50, occupation Farmer. James Calhoun household, 1860 U.S. Census, Comal County, James Calhoun, population schedule, New Braunfels, dwelling 205, family 496, age 46, occupation Farmer. Robert Calhoun household, 1900 U.S. Census, Comal County, Texas, population schedule, J. Precinct 4, ED 0014, sheet 2A, dwelling 27, family 27, age 40, occupation Farmer. Eliza Calhoun household, 1870 U.S. Census, Comal County, Eliza Calhoun, population schedule, Smithsans P.O., dwelling 150A, family 740, age 46, occupation Keeping House. Eliza Calhoun household, 1880 U.S. Census, ComalCo, Eliza Calhoun, population schedule, Precinct 3, ED 040, sheet 35B, dwelling 55, family 55, age 59, occupation Owner of the Farm. Robert Calhoun household, 1920 U.S. Census, Hays County, Robert Calhoun, population schedule, JP Precinct 3, ED 71, sheet 6B, dwelling 128, family 128, age 59, occupation Farming. Frederick Eglington household, 1900 U.S. Census, Santa Clara County, California, population schedule, Redwood Township, ED 57, sheet 180A, dwelling 189, family 189, occupation teamster. John Egleton household, 1870 U.S. Census, Kendall County, Illinois, population schedule, Briston, sheet 32, dwelling 253, family 255, age 57, occupation Farmer. Horace Frost household, 1880 U.S. Census, Crawford County, Iowa, population schedule, Charter Oak, ED 62, sheet 26C, dwelling 21, family 22, age 47, occupation Farmer. J. Egertson household, 1860 U.S. Census, Kendall County, Illinois, population schedule, Bristol, sheet 115, dwelling 833, family 788, age 45, occupation farmer. John Egleton household, 1870 U.S. Census, Kendall County, Illinois, population schedule, Briston, sheet 351, dwelling 253, family 255, age 57, occupation Farmer. Frederick Eglington household, 1910 U.S. Census, Klamath County, Oregon, population schedule, Poe Valley, ED 129, sheet 6A, dwelling 33, family 33, age 50, occupation Farmer. Ferderick W. Eglington household, 1920 U. S. Census, Clark County, Nevada, population schedule, Los Vegas, sheet 3, dwelling 25A, family 685, 685. Samuel Merkel household, 1870 U.S. Census, Edgar County, Illinois, population schedule, Shiloh, sheet 229, dwelling 83, family 83, age 49, occupation Farmer. Samuel Markle household, 1860 U.S. Census, Edgar County, Illinois, population schedule, Embarrass, sheet 799, dwelling 497, family 517, age 38, occupation Farmer. Samual Gorman household, 1850 U.S. Census, Wyandot County, ohio, population schedule, Antrim, sheet 449, dwelling 1407, family 1407, age38,occupation Farmer. Sam Gorman household, 1860 U.S. Census, Wyandot County, ohio, population schedule, Antrim, sheet 449, dwelling 1407, family 1407, age38,occupation Farmer. Saml Gorman household, 1870 U.S. Census, Page County, Iowa, population schedule, Nebraska, sheet 452, dwelling 411, family 412, age 48, occupation Farmer. Ed R. Gorman household, 1910 U. S. Census, Powers County, Colorado, population schedule, Lamar, ED 0136, sheet 1B, dwelling 15, family 16, age 50, occupation Stockman - Ranch. Edmond R. Groman household, 1920 U.S. Census, Yuma County, Edmond R. Groman, population schedule, Yuma, ED 132, sheet 243A, dwelling 74, family 82, age 58, occupation Farmer. Edmund R. Gorman household, 1930 U. S. Census, San Bernardino County, California, population schedule, Bloomington, ED 7, sheet 2A, dwelling 50, family 50, age 70, occupation ?keep of Camp - Camp Gromac? John Adlebush household, 1880 U.S. Census, Sheboygan County, Wisconsin, population schedule, Scott, ED 212, sheet 186A, dwelling 43, family 43, age 41, occupation Farmer. Wisconsin Marriages, 1836-1930 viewed at FamilySearch, online familysearch.org, FamilySearch (https://familysearch.org/ark:/61903/1:1:XRP6-BMN : accessed 29 April 2015), John Adelbush and Dorothea Wunder, 01 Jun 1879; citing reference pg 410 no 4230; FHL microfilm 1,275,568. USGenWeb Archives Project, USGenWeb Project, Sheboyban County, (Township of Scott), Scott Union Cemetery, Tombstone Photos, online ttp://www.rootsweb.com/~usgenweb/wi/cemetery/sheboygan-scottunion.htm, Head Stone for John and Dora Adlebush. John Adlebush household, 1900 U.S. Census, Sheboygan County, Wisconsin, population schedule, Scott, ED 63, sheet 78, dwelling 141, family 145, age 60, occupation Farmer. 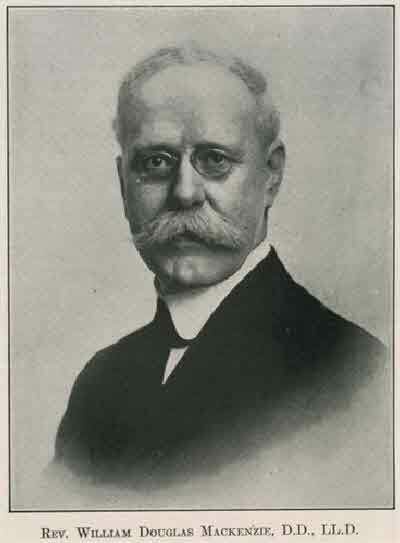 Harvey Eugene Lehman, Lehman-Burke Family History. Joseph Lehman household, 1870 US Census, Somerset County, Pennsylvania, population schedule, Paint, sheet 424, dwelling 99, family 85, age 33, occupation Farm Labor. John B. Lehman household, 1900 U.S. Census, Cambria County, Pennsylvania, population schedule, Ebensburg, ED 118, sheet 1B, dwelling 16, family 16, age 42, occupation Clerk County Court Office. Kentucky, Births and Christenings, 1839-1960 at FamilySearch, online familysearch.org, FamilySearch (https://familysearch.org/ark:/61903/1:1:FWVW-WXD : 4 December 2014), Pary Steele in entry for Travis J. Steele, 01 Apr 1860; citing , , WHITLEY, KENTUCKY, reference ; FHL microfilm 216,843. Perry Steele household, 1860 United States Census, Whitley County, Perry Steele, population schedule, Whitley, dwelling 722, family 638, age 38, occupation Farmer. Travis J. Steele household, 1880 United States census, Jackson County, Travis J. Steele, population schedule, Sni-A-Bar, ED 030, sheet 141C, dwelling 221, family 221, age 20, occupation Hired Hand. Public Member Tree, online search.ancestry.com, Kelly-Peterson. George Joblonski household, 1930 U.S. Census, Ottawa County, George Joblonski, population schedule, Chester, ED 122, sheet 3B, dwelling 80, family 80, age 59, occupation Farms - General Farm. Jno W. Luttrell household, 1860 U.S. Census, Culpeper County, Virginia, population schedule, sheet 819, dwelling 213, family 189, age 44, occupation Farmer. W. John Luttrell household, 1880 U.S. Census, Culpeper County, Virginia, population schedule, Jefferson, ED 034, sheet 354S, dwelling 178, family 181, age 64, occupation Farmer. Virginia Births and Christenings, 1853-1917; Viewed on FamilySearch, online www.familysearch.org, FamilySearch (https://familysearch.org/ark:/61903/1:1:X5XP-8DH : accessed 3 June 2016), W. D. Robson in entry for Jno. W. Robson, 22 Apr 1886; citing Culpeper, Culpeper, Virginia, reference 156; FHL microfilm 2,046,929. John W. Lutrell household, 1870 U.S. Census, Culpeper County, Virginia, population schedule, Jefferson, sheet 601B, dwelling 209, family 216, age 54, occupation Farmer. William D. Robson household, 1920 U. S. Census, Culpeper County, Vriginia, population schedule, Jefferson, sheet 20, dwelling 11A, family 185, 196. Virginia Births and Christenings, 1853-1917; Viewed on FamilySearch, online www.familysearch.org, FamilySearch (https://familysearch.org/ark:/61903/1:1:X5XP-2VC : accessed 3 June 2016), W. T. Robson in entry for Earle Robson, 30 Apr 1893; citing Culpeper, Culpeper, Virginia, reference 238; FHL microfilm 2,046,929. Virginia Births and Christenings, 1853-1917; Viewed on FamilySearch, online www.familysearch.org, FamilySearch (https://familysearch.org/ark:/61903/1:1:X5XP-PQV : accessed 3 June 2016), W. D. Robson in entry for Mortimer Robson, 07 Aug 1896; citing Culpeper, Culpeper, Virginia, reference 257; FHL microfilm 2,046,929. Donald B. Conrad II, "Bertha Raab was my gg grandfathers sister, Eva Barbara Ebert," e-mail to David C. Pratt, 2 apr 2009. Edwin Roof (Raap) household, 1860 U.S. Census, Philadelphia County, Edwin Roof (Raap), population schedule, Phiadelphia, dwelling 494, family 747, age 36, occupation Taylor. Letter, Elsie Pratt to Norman U Pratt, Apr 1985, Letter to N.U. Pratt 4/1985. Erwin Raab household, 1870 U.S. Census, Philadelphia County, Pennsylvania, population schedule, Philadelphia, sheet 553, dwelling 420, family 524, age 47, occupation Tailor. James V. Corry household, 1880 U.S. Census, Philadelphia County, Pennsylvania, population schedule, Philadelphia, sheet 665, dwelling 326D, family 99, 104.